Summary: Let's have a look at new DIY bead earrings! What strikes me most is its unique and creative shape. 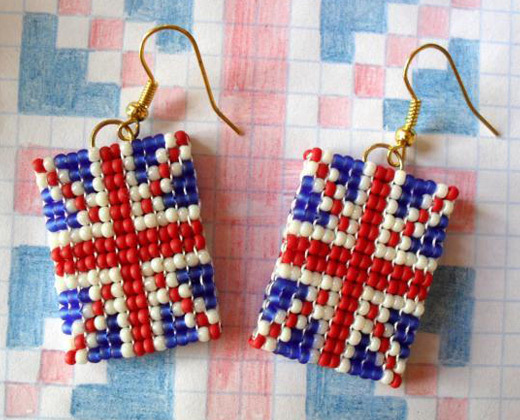 This is a pair of flag earrings. If you know how the Union Jack flag looks like, then you will definitely know what you will make.